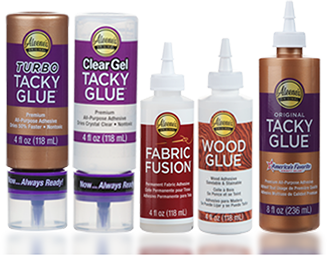 Aleene’s Original Glues - What is slime? Slime is a gooey, squishy, pliable substance usually made from a mixture of nontoxic craft glue, water and boric acid (a common ingredient in household laundry and cleaning products or contact lens solution). Slime can be colored with food coloring, nontoxic paint and/or glitter. Get the recipe on how to make slime with Original Tacky Glue here.